Floors, Walls, & Vanities Too! 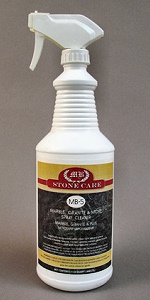 Granite counter top care begins with using stone & granite cleaners intended for natural stone. If you're like most people, your kitchen counter tops are used several times a day. Kids, cooking, and continual use can all contribute to a less than clean countertop. 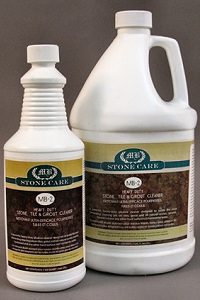 stone care products to use on ALL Natural Stones. Learn more about each cleaning product and its intended use. What about soap and water? Soap and water will work but over time using soap and water will lead to a soapy film on your kitchen counter top which you will need to remove. This soap film makes your tops look dirty, dull and dingy. If you already have a soap build up, use a product such as the soap scum remover. These cleaners are not just limited to your granite counter top care. They're also effective on floors, vanities, fireplaces, walls, stainless steel, glass shower doors, Corian®, Silestone® and even the mirrors in your home! 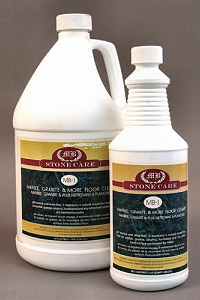 Whether it's soap scum, mold & mildew, or just plain hard water deposits - these cleaners are safe to use on stone and they WORK! 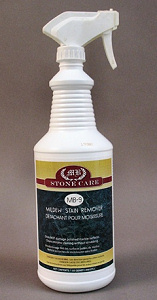 we have a safe natural stone cleaner. 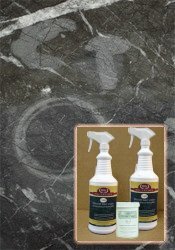 Countertops & Vanities - A SAFE daily spray cleaner. 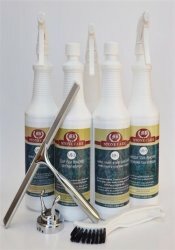 Multi Surface - Spot cleaner, degreaser and deodorizer. Stone, Wood & Tile Floors - No rinse. No streaks. Soap Film Remover - Break up soap scum. 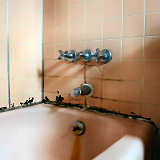 Mold & Mildew Stains - Clean without scrubbing. Heavy Duty Tile & Grout Great for showers! 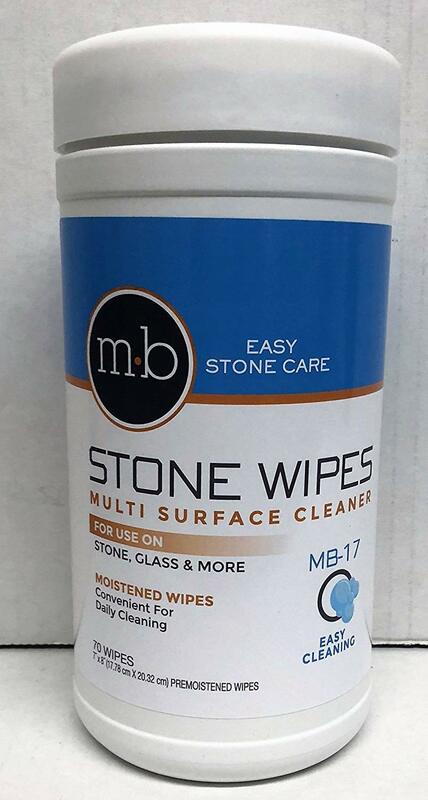 Stone Wipes - Easy To use. 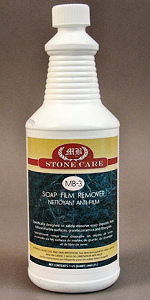 Still have questions on cleaning stone? 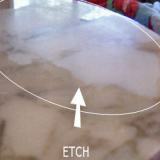 Here's where you'll find FAQ's on cleaning granite countertops and other natural stone surfaces.